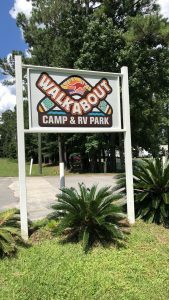 G’Day and Thank you for choosing Walkabout Camp & RV Park as your destination stop over. 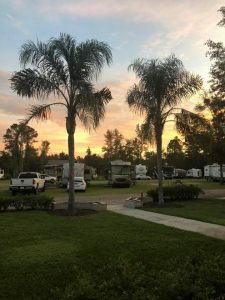 Our park was originally established in 1994 under the name King George RV Resort. Since 2011, the park has been under new management. 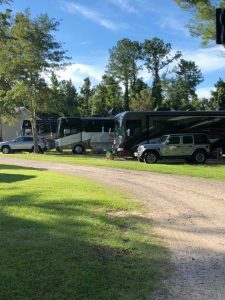 It is a family owned business that is continuously growing and improving its accommodations to meet the needs of our wonderful campers. Perfect for snowbirds and anyone just passing through. For those passing through though, you will definitely want to come by again. We’re conveniently located at Exit 7 on I-95 between the city of Woodbine and Kingsland Georgia. 40 Full Hook Up. 30 & 50 Amp Sites. All sites are pull thru!! Close to Historical St Marys, Amelia Island, Woodbine Opry, Cumberland Island, Okefenokee National Park Wildlife Refuge, Fernandina Beach, Submarine Museum, Jacksonville Zoo and more.